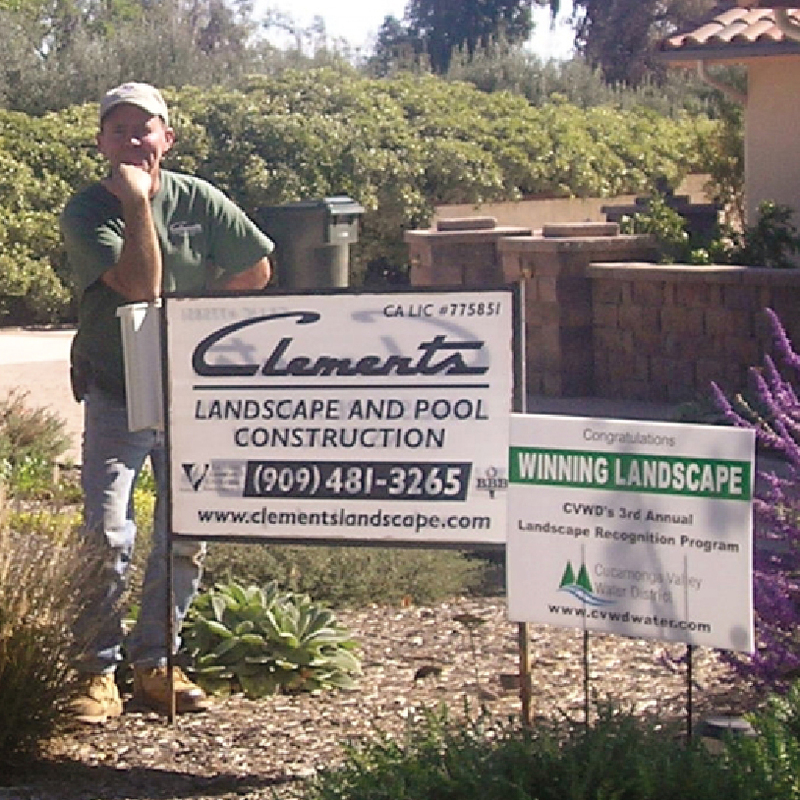 At Clements Landscape and Pool Construction, we start every project with a thorough consultation and site analysis. Once we know what the client needs and wants we start the design process. The design process is both creative and practical, taking into consideration the requirements and budget of the client, the possibilities and limitations of the property, and the different materials available. Our expertise gives us the ability to create the landscape our clients dream of, while staying firmly inside their budget. We provide scale drawings of every plan and 3D renderings are available for larger projects. We are based in Rancho Cucamonga and work throughout the Inland Empire and surrounding areas including the cities of Upland, Fontana, Claremont, Eastvale, Corona, Norco, Chino, Chino Hills, La Verne, San Dimas, Montclair, Ontario and Pomona. As well as our residential projects, we have completed many commercial and multi-family installations. To protect our employees and your property we carry worker’s compensation insurance and liability insurance, as well as the bond required by the state. Harold personally supervises each project from start to finish to make sure that the completed landscape lives up to the expectations of the client and his high standards.